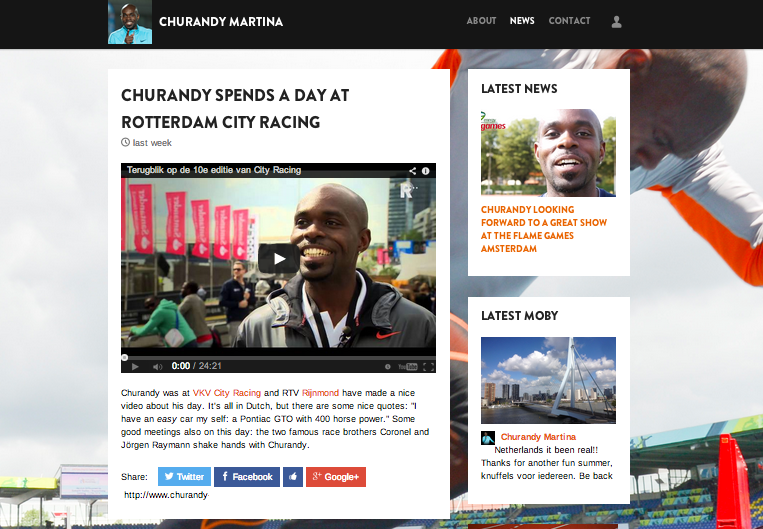 Churandy Martina was the proud owner of one of the first Tag The Love platform back in december 2012, right after he became famous thanks to his great performance and attitude at the London Olympics. Today we released the new version of his platform . Týrsday is assisting Churandy on editorial topics and news.